There is no life without water. It is the world's most precious resource, fueling everything from the food we eat, to the clothes we wear, to the energy we depend upon every day. Yet, despite the massive role water plays, it is a surprisingly finite resource. Less than 1% of the world's water is fresh and accessible. That's why it's more important than ever that we take care of this precious resource and ensure its availability for everyone and everything—regardless of where they may live. Today, more than 270 lakes and rivers around the world cross international borders, making them shared resources. But many countries aren't working together to ensure water security on all sides of their waterways. 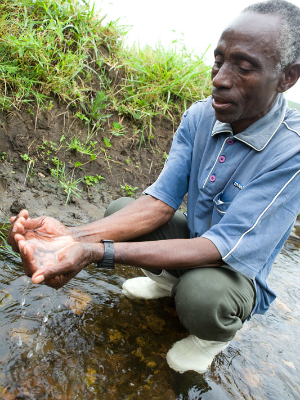 By using the tools in the United Nations Watercourses Convention (UNWC), countries can manage freshwater resources. We write to you as citizens of this country who care deeply about the precious waters that sustain all life. Like all things wild, we know that rivers, lakes and aquifers know no boundaries. Around the world and here at home, fresh water and freshwater ecosystems support a range of biodiversity that depends on healthy rivers, lakes and aquifers for fresh water and sustenance. It is important to us that our country strives to make careful use of our natural resources. We recognize that as populations grow, we need more food, water and energy. As industries continue to develop, so too will the demands on freshwater resources. Given these increased demands on resources, combined with climate change, water crises and conflicts are becoming more frequent. We believe there is an urgent need for us to work with our neighboring countries to manage our shared waters. We ask for your leadership in supporting and ratifying the United Nations Watercourses Convention. By doing so, we can set an example and put in place basic standards for cooperation on the use, management and protection of international waters.